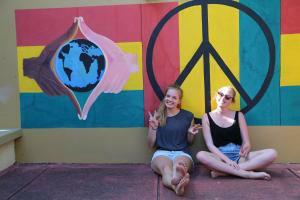 ﻿ Best Price on Csompo Bed and Breakfast in Ocho Rios + Reviews! 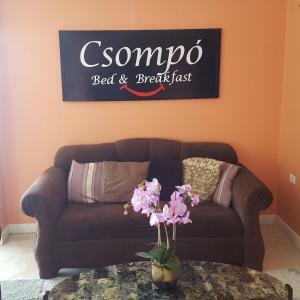 Featuring free WiFi and an outdoor pool, Csompo Bed and Breakfast offers accommodations in Ocho Rios, 1.8 mi from Dolphin Cove Ocho Rios. The bed and breakfast has a year-round outdoor pool and barbecue, and guests can enjoy a drink at the bar. Free private parking is available on site. 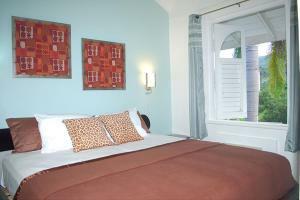 Every room is equipped with a flat-screen TV and DVD player. A terrace or balcony are featured in certain rooms. The rooms are equipped with a private bathroom. For your comfort, you will find free toiletries and a hairdryer. You will find a shared kitchen at the property. The bed and breakfast also offers car hire. 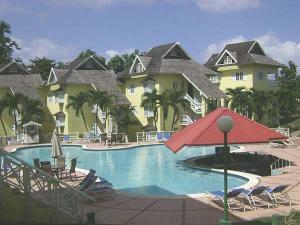 The nearest airport is Kingston Airport, 39 mi from Csompo Bed and Breakfast .